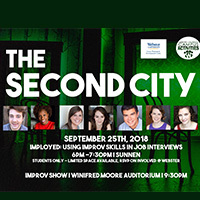 Campus Activities and Career Planning and Development collaborated to bring The Second City Improv Group to Webster University for their workshop, "Using Improv Skills in Job Interviews." The performers engaged a room of students In Sunnen Lounge on Tuesday, Sept. 25, before their main stage performance later that evening. The Student Involvement Fair will take place on Wednesday, Jan. 24, from 11 a.m. to 1 p.m. in Grant Gymnasium in the University Center of the Webster Groves campus. If your department would like to have a table, please fill out the survey. Last week Webster University welcomed Buddhist monks from the Drepung Gomang Monastery in India to campus for the creation of a sand mandala around the theme of world peace and diversity. The three-day process involves careful, intricate design with grains of sand. 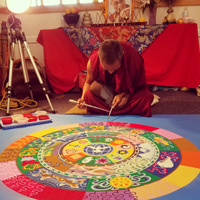 It closes with a destruction of the sand mandala, evoking the theme that everything is moving and temporary in the world. The St. Louis Post-Dispatch and Fox 2 were among the outlets capturing the activity with video. It's time to register your student organization or campus department for participation in the Student Involvement Fair, taking place on Wednesday, Sept. 6, from 11 a.m. - 1 p.m. in Grant Gymnasium. This event is geared towards Webster student organizations, campus departments and students to gather to share information, recruit volunteers and new members, and invite and encourage other students to get involved. 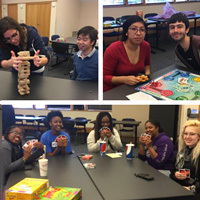 The International Languages and Cultures Department hosted the second annual Global Game Day on Thursday, March 23, in the University Center. The ILC collaborated with Campus Activities, ESL, UFGC, JSA, and MCISA in continuation of the idea of #WeAreAllWebster. The event gave International and domestic students a chance to interact and make new friends through playing games together. Webster University's Campus Activities proudly presents Full House alum Dave Coulier, as this year’s feature entertainer for Springfest 2017. Coulier will present a night of family-friendly comedy on Monday, April 3, at 7 p.m. in the Loretto Hilton Center. Tickets are free for Webster students, with valid ID. The Spring 2017 Involvement Fair will take place on Wednesday, Jan. 25, from 11 a.m.-1 p.m. in Grant Gymnasium. This event is geared towards Webster student organizations, campus departments and students to gather together to share information, recruit volunteers and new members, as well as invite and encourage students to get involved. Student organizations and campus departments must register to secure a booth. 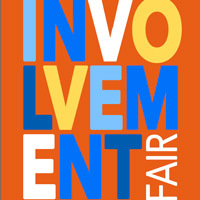 The Spring 2016 Involvement Fair will take place on Wednesday, Jan. 20, from 11 a.m. to 2 p.m. in Grant Gymnasium. This is event is geared towards Webster student organizations, campus departments and students to gather together to share information, recruit volunteers and new members, as well as invite and encourage students to get involved. Student organizations and campus departments must register to secure a booth.